(THE STAR/ASIA NEWS NETWORK) - Sometimes, you discover all sorts of new delights when you deviate from the usual routine. One rainy Saturday afternoon, I chose to do just that when I ignored the addictive pull of my reliably good neighbourhood chicken rice and ventured to an unknown claypot chicken rice place instead. Lim Sheng Claypot Chicken Rice Kopitiam is tucked along a row of shoplots in the Happy Garden area, off Jalan Kuchai Lama. The interior of the eatery is simple and unpretentious with few fancy frills. 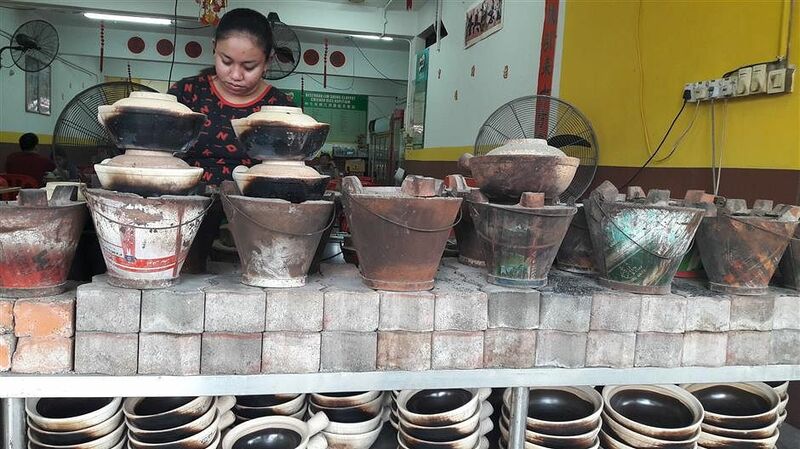 As you enter, you’ll notice claypots stacked on top of each other, ready to be charcoal-cooked once you place your order. The claypot chicken rice dishes here are priced according to size – you can opt for a small one (RM10) for one person or big (RM19) which is bountiful enough to be shared amongst at least three hungry people. The rice arrives piping hot, and is filled with chunks of chicken, lap cheong (Chinese waxed sausage), salted fish and spring onions coated in a soya-based sauce. You’ll need to mix everything together to ensure an equal distribution of ingredients and flavours. The chicken rice is delicious, steaming hot down to the last bite, with soft, luscious rice kernels that are full of flavour. The succulent chicken and slightly-sweet lap cheong add texture and dimension to each mouthful and draw everything together with fluid mastery. Although the dish is a clear winner, the salted fish doesn’t really seem to have a tangible presence in this concoction. The restaurant also offers an array of interesting house-made soups. Since we arrived at the eatery off the back of a crazy monsoon storm (umbrellas were blown away by the sheer force of the wind! ), soup was something we definitely felt like indulging in on our visit. 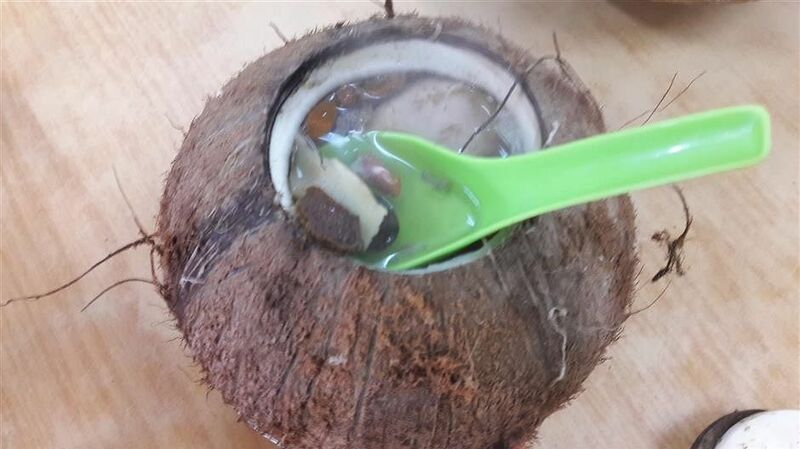 If you’re up for it, try the coconut chicken soup (RM13) which arrives in a coconut! The soup has nuanced coconut undertones that imbue it with a natural sweetness. The remaining cast of characters here include an assortment of Chinese herbs and chicken so tender, it literally falls off the bones. On a cold day, this is just the sort of soup you’ll need to warm you up. Because parking can be difficult to find here on weekdays, the eatery does takeaway orders, so you can call in advance to place your order, alert the eatery when you’re in the area and employees will wait outside the restaurant to pass you your meals as you drive by.